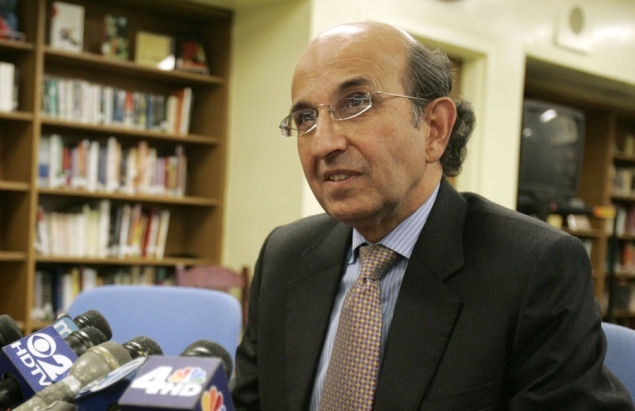 Think the Job Performance of the NYC DOE Chief Officer Dennis Walcott Stinks? No one who works at Tweed (or City Hall, we hear) has a contract and no one is evaluated. That's how Bloomberg works, and how public money is spent. Below is the final response to my FOIL for the evaluations of the leaders of our public school system. There are none. Too bad. No one who works at Tweed (or City Hall, we hear) has a contract and no one is evaluated. That's how Bloomberg works, and how public money is spent. From the desk of Betsy Combier, Editor. Below is the final response to my FOIL for the evaluations of the leaders of our public school system. My very good friend Harvey Elentuck, the "Elentuck" of the case "Elentuck v Green" in which the New York State Supreme Court and the Appellate Division both told Harvey that there are no facts in observations and observations are not final (so he could not FOIL observation reports), filed a FOIL request for performance evaluations of the DOE "leadership". Judge Cynthia Kern used "Elentuck" in her decision to grant the DOE release of teacher evaluations, and Bob (Freeman) has issued an opinion about Harvey's case. The UFT used "Elentuck v Green" in the Memorandum of Law filed at the First Department Appellate Division (Attorney Charles Moerdler is on the Attorney Departmental Disciplinary Committee for the 1st Dept. and was the Attorney hired to defend Randi Weingarten and me in the Teachers4Action lawsuit filed in 2008 by former Attorney Edward Fagan....evidently Fagan owes Moerdler more than $340,000 in judgments). "As you know, I have filed a Notice of Claim against Mr. Joseph Baranello, Chief Records Access Officer of the New York City Department of Education, for consistently delaying my FOIL requests beyond the time available by Law, and I have had my 50-H deposition. Any and all delay in receiving the information I request herein will be pursued pursuant to all relevant laws and statutes. I also posted Baranello's Facebook comments on my blog, and I will consider any and all delay in receiving the information I request in this FOIL request or any other as retaliation and unlawful action by a public employee. (1) The final performance evaluations of all of the members of the Chancellor’s leadership team for 2008, 2009, 2010 and 2011, in the NYC Department of Education, including but not limited to every Deputy Chancellor, as well as the performance evaluation of the Chancellor himself. Robert Freeman, Chair of the NYS Committee on Open Govt., has written that the performance evaluations of all public employees in NY State are available to the public through FOILs, except for police and correction officers and firefighters. With respect to the Chancellor, he is the equivalent of a "Superintendent of Schools" and is, therefore, required to be evaluated annually by the Panel for Educational Policy, which is the equivalent of a "Board of Education." Performance review of superintendent. The governing body of each school district shall annually review the performance of the superintendent of schools according to procedures developed by such body in consultation with the superintendent. Such procedures shall be filed in the district office and available for review by any individual no later than September 10th of each year. These requested records are not exempt from disclosure under FOIL. To the extent that information contained in the requested records is protected please redact such information and provide me with the remaining information. In the event that all or part of this request is denied, please cite each specific applicable FOIL exemption and notify me of appeal procedures available under the law. (3) Names of the individuals who conduct the evaluations, with titles and years of service in the capacity cited. To the extent that these records are readily available in an electronic format, we request that they be provided in that format. Please provide responsive records as they are identified, rather than waiting to gather all records. I request to be notified of any fees associated with this request of over $100.00. The Freedom of Information Law requires agencies to respond within five (5) business days of a records request, therefore I expect a timely reply to my request in compliance with the Law, as well as a timely completion of this request with all documents. My email address is: betsy.combier@gmail.com. As you know, I have filed a Notice of Claim against Mr. Joseph Baranello, Chief Records Access Officer of the New York City Department of Education, for consistently delaying my FOIL requests beyond the time available by Law, and I have had my 50-H deposition. Any and all delay in receiving the information I request herein will be pursued pursuant to all relevant laws and statutes. I also posted Mr. Baranello's Facebook comments on my blog, and I will consider any and all delay in receiving the information I request in this FOIL request or any other as retaliation and unlawful action by a public employee. Blecher v. NYC Board of Education (NYLJ, 10/25/79). "Performance review of superintendent. The governing body of each school district shall annually review the performance of the superintendent of schools according to procedures developed by such body in consultation with the superintendent. Such procedures shall be filed in the district office and available for review by any individual no later than September 10th of each year." If the requested records cannot be E-mailed to me due to the volume of records identified in response to my request, please advise me of the actual cost of copying all records onto a CD or floppy disk. If my request is too broad or does not reasonably describe the records, please contact me so that I may clarify my request. When appropriate, please inform me of the manner in which the records are filed, retrieved, or generated. If any record has been redacted or denied, please identify which categories of information have been redacted or denied, and cite the relevant statutory exemption(s). As you know, the Freedom of Information Law requires that an agency respond to a request within five business days of receipt of a request. Therefore, I would appreciate a response as soon as possible and look forward to hearing from you shortly. If for any reason any portion of my request is denied, please inform me of the reasons for the denial in writing and provide the name, business address, and E-mail address of the person or body to whom an appeal should be directed. The answer from the NYC DOE was: "there is no evaluation done of Chancellor Klein. He works at the pleasure of Mayor Mike Bloomberg." This is why we have no say on anything that occurs in our city schools. As we all know, the Freedom of Information Law, or FOIL, is available to members of the public and is a great way for all of us to see "behind the curtain" of the New York City Department of Education. Over the past 10 years I have, with my dear friend Harvey Elentuck of Elentuck v Green, FOIL's hundreds of times, and I will be placing all of my recent requests on this blog. For now, let's re-read Robert Freeman's reply to Mr. Juan Gonzalez on the request to obtain the emails between Eva Moskowitz and Joel Klein. The staff of the Committee on Open Government is authorized to issue advisory opinions. The ensuing staff advisory opinion is based solely upon the information presented in your correspondence. As you are aware, I have received a copy of your letter of appeal addressed to Michael Best, General Counsel to the New York City Department of Education, concerning the denial by the Department’s records access officer of a request made pursuant to the Freedom of Information Law by Daily News writer, Juan Gonzalez. In the letter you indicated that, through its receipt by this office, you are seeking an advisory opinion concerning the propriety of the Department’s response. “• copies of any correspondence, including email and blackberry messages, between Eva Moskowitz, CEO of both Harlem Success Academy and Success Charter Network, and Schools Chancellor Joel Klein, that specifically relate to requests from Moskowitz for DOE approval of or assistance to Harlem Success in expanding the number of students and/or schools operated by her organizations, and in promoting and marketing her schools to the general public, any an all written requests and/or proposals made by Moskowitz between January 1, 2006 and July 1, 2009 for additional physical space in public school buildings for her charter program. • copies of any correspondence on the same subject matters, including email and blackberry messages, between Moskowitz and Michael Duffy, executive director of the office of charter schools, for the period of January 1, 2006 to July 1, 2009. The records access officer, Mr. Joseph A. Baranello, denied the request in its entirety, offering several grounds for denial appearing in §87(2) of the Freedom of Information Law. He referred first to §87(2)(a), which pertains to records that “are specifically exempted from disclosure by state or federal statute.” In that regard, he cited the Family Educational Rights and Privacy Act, 20 USC §1232g (“FERPA”) concerning records identifiable to students and §§4503 and 3101 of the CPLR, which deal respectively with the attorney-client privilege and attorney work product. Next, reference was made to §§87(2)(b) and 89(2), both of which permit an agency to deny access insofar as disclosure would constitute “an unwarranted invasion of personal privacy.” And third, he cited §87(2)(g) concerning inter-agency and intra-agency materials. In consideration of the grounds for denial referenced by Mr. Baranello and my understanding of the nature of the records at issue, I offer the following comments. First, and significantly in consideration of the absence of any disclosure by the Department in response to the request, and as you know, the Freedom of Information Law is based upon a presumption of access. Stated differently, all records of an agency are available, except to the extent that records or portions thereof fall within one or more grounds for denial appearing in §87(2)(a) through (j) of the Law. It is emphasized that the introductory language of §87(2) refers to the authority to withhold "records or portions thereof" that fall within the scope of the exceptions that follow. In my view, the phrase quoted in the preceding sentence evidences a recognition on the part of the Legislature that a single record or report, for example, might include portions that are available under the statute, as well as portions that might justifiably be withheld. That being so, I believe that it also imposes an obligation on an agency to review records sought, in their entirety, to determine which portions, if any, might properly be withheld or deleted prior to disclosing the remainder. "To ensure maximum access to government records, the 'exemptions are to be narrowly construed, with the burden resting on the agency to demonstrate that the requested material indeed qualifies for exemption' (Matter of Hanig v. State of New York Dept. of Motor Vehicles, 79 N.Y.2d 106, 109, 580 N.Y.S.2d 715, 588 N.E.2d 750 see, Public Officers Law § 89[b]). As this Court has stated, '[o]nly where the material requested falls squarely within the ambit of one of these statutory exemptions may disclosure be withheld' (Matter of Fink v. Lefkowitz, 47 N.Y.2d, 567, 571, 419 N.Y.S.2d 467, 393 N.E.2d 463)" [89 NY2d 267, 275 (1996)]. "...to invoke one of the exemptions of section 87(2), the agency must articulate 'particularized and specific justification' for not disclosing requested documents (Matter of Fink v. Lefkowitz, supra, 47 N.Y.2d, at 571, 419 N.Y.S.2d 467, 393 N.E.2d 463). If the court is unable to determine whether withheld documents fall entirely within the scope of the asserted exemption, it should conduct an in camera inspection of representative documents and order disclosure of all nonexempt, appropriately redacted material (see, Matter of Xerox Corp. v. Town of Webster, 65 N.Y.2d 131, 133, 490 N.Y.S. 2d, 488, 480 N.E.2d 74; Matter of Farbman & Sons v. New York City Health & Hosps. Corp., supra, 62 N.Y.2d, at 83, 476 N.Y.S.2d 69, 464 N.E.2d 437)" (id.). In the context of the request, the Department engaged in a blanket denial of access in a manner which, in my view, is equally inappropriate. I am not suggesting that the records sought must be disclosed in full. Rather, based on the direction given by the Court of Appeals in several decisions, the records must be reviewed by that agency for the purpose of identifying those portions of the records that might fall within the scope of one or more of the grounds for denial of access. As the Court stated later in the decision: "Indeed, the Police Department is entitled to withhold complaint follow-up reports, or specific portions thereof, under any other applicable exemption, such as the law-enforcement exemption or the public-safety exemption, as long as the requisite particularized showing is made" (id., 277; emphasis added). Second, I agree that those portions of the records sought that include information that is personally identifiable to a student must be redacted to comply with FERPA. I do not believe, however, that the provisions of the CPLR cited in the response are applicable or, therefore, that they may properly be asserted. In brief, FERPA applies to all educational agencies or institutions in the United States that participate in federal funding or loan programs. It generally provides parents of minor students rights of access to education records, a term broadly defined in federal regulations, 34 CFR §99.3, to parents of the students. Concurrently, it generally prohibits disclosure of personally identifiable information pertaining to a student to the public, unless a parent consents to disclosure. If portions of the records at issue include information that is personally identifiable to a student, those portions must, in my view, be withheld. As emphasized earlier, only those portions of the records subject to FERPA may be redacted; the remainder must be disclosed, or conversely, may be withheld, in accordance with the provisions of the Freedom of Information Law. As you are aware, §4503 of the CPLR is a codification of the attorney-client privilege, and §3101 creates an exemption from discovery regarding the work product of an attorney. Section 3101 pertains disclosure in a context related to litigation, and subdivision (a) reflects the general principle that "[t]here shall be full disclosure of all matter material and necessary in the prosecution or defense of an action..." It is intended to shield from an adversary records that would result in a strategic advantage or disadvantage, as the case may be. In a decision in which it was determined that records could justifiably be withheld as attorney work product, the "disputed documents" were "clearly work product documents which contain the opinions, reflections and thought process of partners and associates" of a law firm "which have not been communicated or shown to individuals outside of that law firm" [Estate of Johnson, 538 NYS 2d 173 (1989)]. It does not appear that the records at issue relate to litigation or that the intent of §3101(c) is pertinent in the context of your request. "The attorney-client privilege requires some showing that the subject information was disclosed in a confidential communication to an attorney for the purpose of obtaining legal advice (Matter of Priest v. Hennessy, 51 N.Y.2d 62, 68-69, 431 N.Y.S.2d 511, 409 N.E.2d 983). The work-product privilege requires an attorney affidavit showing that the information was generated by an attorney for the purpose of litigation (see, Warren v. New York City Tr. Auth., 34 A.D.2d 749, 310 N.Y.S.2d 277). The burden of satisfying each element of the privilege falls on the party asserting it (Priest v. Hennessy, supra, 51 N.Y.2d at 69, 431 N.Y.S. 2d 511, 409 N.E.2d 983), and conclusory assertions will not suffice (Witt v. Triangle Steel Prods. Corp., 103 A.D.2d 742, 477 N.Y.S.2d 210)" [Coastal Oil New York, Inc. v. Peck, [184 AD 2d 241 (1992)]. "In general, 'the privilege applies only if (1) the asserted holder of the privilege is or sought to become a client; (2) the person to whom the communication was made (a) is a member of the bar of a court, or his subordinate and (b) in connection with this communication relates to a fact of which the attorney was informed (a) by his client (b) without the presence of strangers (c) for the purpose of securing primarily either (i) an opinion on law or (ii) legal services (iii) assistance in some legal proceeding, and not (d) for the purpose of committing a crime or tort; and (4) the privilege has been (a) claimed and (b) not waived by the client'" [People v. Belge, 59 AD 2d 307, 399 NYS 2d 539, 540 (1977)]. In short, based on the foregoing and in consideration of the nature of the content of the records at issue, I do not believe that they could be characterized as attorney work product. Further, since it serves as a barrier to disclosure, it is emphasized that the courts have narrowly construed the exemption concerning attorney work product. It has been held that only the work product that involves the learning and professional skills possessed only by an attorney is exempt from disclosure [see Soper v. Wilkinson Match, 176 Ad2d 1025 (1991); Hoffman v. Ro-San Manor, 73 AD2d 207 (1980)]. Assuming that the records sought do not reflect the specialized skill that can be offered only by an attorney, I do not believe that they can be withheld based on a contention that they consist of attorney work product. Similarly, based on their content, I do not believe that the records fall within the scope of the attorney-client privilege. Ms. Moskowitz is not an officer of employee of the Department. She is not the client of the Department’s attorneys, and to the best of my knowledge, the Department officials with whom she communicated are not attorneys or were not functioning as attorneys. For the foregoing reasons, the records sought, in my opinion, would not be subject to the exemptions from disclosure conferred by §§3101 or 4503 of the CPLR. "...the names and business addresses of individuals or entities engaged in animal farming for profit do not constitute information of a private nature, and this conclusion is not changed by the fact that a person's business address may also be the address of his or her residence. In interpreting the Federal Freedom of Information Law Act (5 USC 552), the Federal Courts have already drawn a distinction between information of a 'private' nature which may not be disclosed, and information of a 'business' nature which may be disclosed (see e.g., Cohen v. Environmental Protection Agency, 575 F Supp. 425 (D.C.D.C. 1983)." In another decision, Newsday, Inc. v. New York State Department of Health (Supreme Court, Albany County, October 15, 1991)], data acquired by the State Department of Health concerning the performance of open heart surgery by hospitals and individual surgeons was requested. Although the Department provided statistics relating to surgeons, it withheld their identities. In response to a request for an advisory opinion, it was advised by this office, based upon the New York Freedom of Information Law and judicial interpretations of the federal Freedom of Information Act, that the names should be disclosed. The court agreed and cited the opinion rendered by this office. "was intended by Congress to protect individuals from public disclosure of 'intimate details of their lives, whether the disclosure be of personnel files, medical files or other similar files'. Board of Trade of City of Chicago v. Commodity Futures Trading Com'n supra, 627 F.2d at 399, quoting Rural Housing Alliance v. U.S. Dep't of Agriculture, 498 F.2d 73, 77 (D.C. Cir. 1974); see Robles v. EOA, 484 F.2d 843, 845 (4th Cir. 1973). Although the opinion in Rural Housing stated that the exemption 'is phrased broadly to protect individuals from a wide range of embarrassing disclosures', 498 F.2d at 77, the context makes clear the court's recognition that the disclosures with which the statute is concerned are those involving matters of an intimate personal nature. Because of its intimate personal nature, information regarding 'marital status, legitimacy of children, identity of fathers of children, medical condition, welfare payment, alcoholic consumption, family fights, reputation, and so on' falls within the ambit of Exemption 4. Id. By contrast, as Judge Robinson stated in the Chicago Board of Trade case, 627 F.2d at 399, the decisions of this court have established that information connected with professional relationships does not qualify for the exemption" [Sims v. Central Intelligence Agency, 642 F.2d 562, 573-573 (1980)]. "The adverse effect of a rejection of a grant proposal, if it exists at all, is limited to the professional rather than personal qualities of the applicant. The district court spoke of the possibility of injury explicitly in terms of the applicants' 'professional reputation' and 'professional qualifications'. 'Professional' in such a context refers to the possible negative reflection of an applicant's performance in 'grantsmanship' - the professional competition among research scientists for grants; it obviously is not a reference to more serious 'professional' deficiencies such as unethical behavior. While protection of professional reputation, even in this strict sense, is not beyond the purview of exemption 6, it is not at its core" [Kurzon v. Department of Health and Human Services, 649 F.2d 65, 69 (1981)]. In short, in my opinion and as indicated in the decisions cited above, the exception concerning privacy does not apply to records identifying or pertaining to entities or individuals in relation to their business or professional capacities. It does not appear, therefore, that either §87(2)(b) or §89(2)(b) may validly be asserted as a means of denying access to the records requested by Mr.Gonzalez. Lastly, the response referred to §87(2)(g), which may, depending on their content, permit an agency to withhold “inter-agency” or “intra-agency” materials. It is my understanding that Ms. Moskowitz is the CEO of a corporation, the Success Charter Network, that operates a charter school in New York City. That entity, in my view, is not an agency, and if that is so, §87(2)(g) does not serve as a basis for denying access. "any state or municipal department, board, bureau, division, commission, committee, public authority, public corporation, council, office or other governmental entity performing a governmental or proprietary function for the state or any one or more municipalities thereof, except the judiciary or the state legislature." Based on the definition of “agency”, “inter-agency” materials consist of communications between or among entities of state and local government in New York; “intra-agency” consist of communications within an agency, such as transmissions between the Chancellor and employees of the Department. Because the communications at issue involved those between or among Ms. Moskowitz, the CEO of a corporation, which is not an agency, and officials at the Department, they could not, in my opinion, be characterized as either inter-agency or intra-agency materials. If that is so, §87(2)(g) does not apply as a ground for denial. iv. external audits, including but not limited to audits performed by the comptroller and the federal government..."
It is noted that the language quoted above contains what in effect is a double negative. While inter-agency or intra-agency materials may be withheld, portions of such materials consisting of statistical or factual information, instructions to staff that affect the public, final agency policy or determinations or external audits must be made available, unless a different ground for denial could appropriately be asserted. Concurrently, those portions of inter-agency or intra-agency materials that are reflective of opinion, advice, recommendation and the like could in my view be withheld. "...we note that one court has suggested that complaint follow-up reports are exempt from disclosure because they constitute nonfinal intra-agency material, irrespective of whether the information contained in the reports is 'factual data' (see, Matter of Scott v. Chief Medical Examiner, 179 AD2d 443, 444, supra [citing Public Officers Law §87[g]). However, under a plain reading of §87(2)(g), the exemption for intra-agency material does not apply as long as the material falls within any one of the provision's four enumerated exceptions. Thus, intra-agency documents that contain 'statistical or factual tabulations or data' are subject to FOIL disclosure, whether or not embodied in a final agency policy or determination (see, Matter of Farbman & Sons v. New York City Health & Hosp. Corp., 62 NY2d 75, 83, supra; Matter of MacRae v. Dolce, 130 AD2d 577)..." [Gould et al. v. New York City Police Department, 87 NY2d 267, 276 (1996)]. "...Although the term 'factual data' is not defined by statute, the meaning of the term can be discerned from the purpose underlying the intra-agency exemption, which is 'to protect the deliberative process of the government by ensuring that persons in an advisory role [will] be able to express their opinions freely to agency decision makers' (Matter of Xerox Corp. v. Town of Webster, 65 NY2d 131, 132 [quoting Matter of Sea Crest Constr. Corp. v. Stubing, 82 AD2d 546, 549]). Consistent with this limited aim to safeguard internal government consultations and deliberations, the exemption does not apply when the requested material consists of 'statistical or factual tabulations or data' (Public Officers Law 87[g][I]. Factual data, therefore, simply means objective information, in contrast to opinions, ideas, or advice exchanged as part of the consultative or deliberative process of government decision making (see, Matter of Johnson Newspaper Corp. v. Stainkamp, 94 AD2d 825, 827, affd on op below, 61 NY2d 958; Matter of Miracle Mile Assocs. v. Yudelson, 68 AD2d 176, 181-182)” (id., 276-277). In sum, with the exception of portions of the records sought that may be withheld pursuant to FERPA and, therefore, §87(2)(a), it appears that the records must be disclosed, for none of the remaining grounds for denial of access may justifiably be asserted. In an effort to enhance understanding of and compliance with the Freedom of Information Law, and to obviate the need for costly litigation, copies of this opinion will be sent to Department officials.